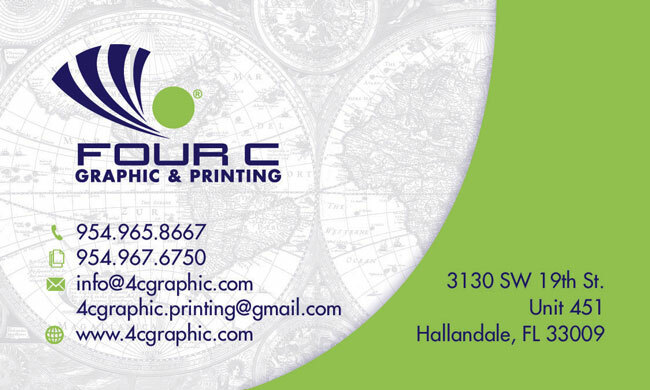 Four C Graphic and Printing, Inc.
Four C Graphic and Printing is a complete graphics and offset printing company based in Pembroke Park, Florida. We offer competitive savings by maintaining close control over every process and direct involvement in choosing raw materials, running pre-press production, press run, post press and quality control. The caliber of our onsite work sets us apart and enables us to continually provide an optimum service for businesses, churches, organizations, and individuals. To maintain our expected standards, we continually improve our processes for more efficient productions. Our staff is committed to excellence and has the technical expertise to make all the elements of your job processing work together to bring you a finished product you’ll be proud of. Our goal is to exceed our customers’ expectations in graphics & printing and make the communication between you and your target audience, crystal clear. We use the offset printing method to run your jobs, giving you the highest quality print in the industry. Our experienced technicians produce brilliant solids and clear pictures using keen attention to our quality standards. Four C Graphic and Printing runs up to four colors in a line up to 28”x 40” sheet size and can provide UV coating for most promotional pieces. Our spot color processing is also on the competitive edge. With a track record of producing exacting color and clean prints, we serve a community of clients which are always satisfied with how their corporate identities are reproduced. 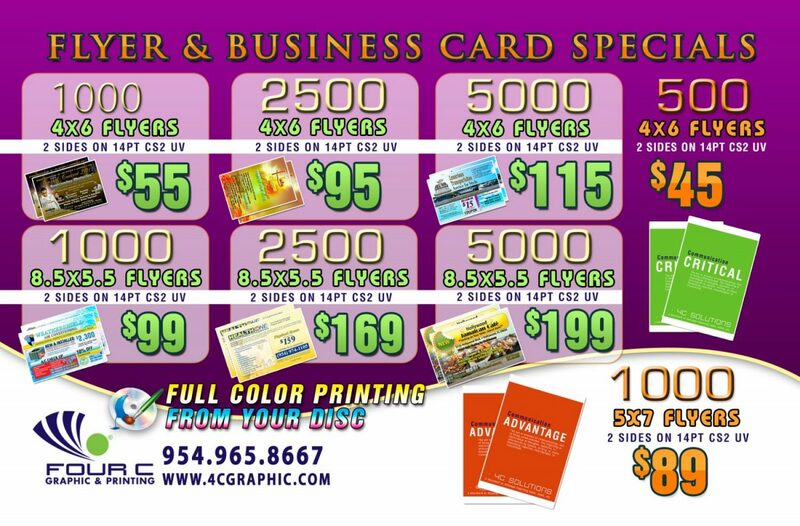 Graphic Designer ComputerOur desktop publishing team is always ready to assist you with your projects. Using the latest graphic design techniques, creative ideas and software in today’s industry, we can take your idea from concept to a finished printed product.